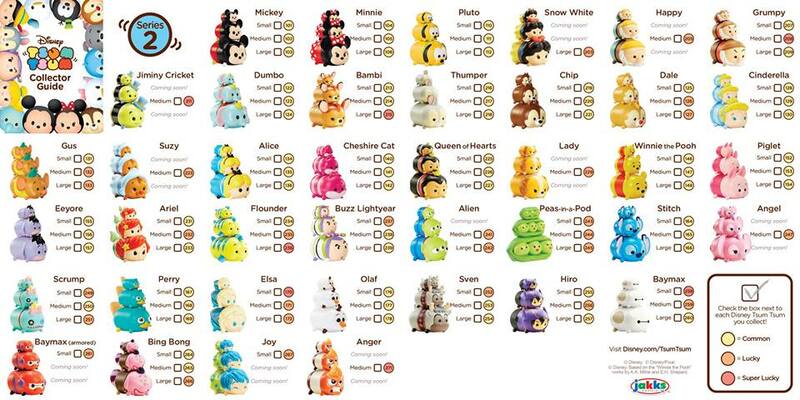 Home » News » Jakks Pacific Tsum Tsums Vinyls Series 2 Coming Soon! Jakks Pacific Tsum Tsums Vinyls Series 2 Coming Soon! Earlier today, a new Jakks Pacific Collectors Guide/checklist featuring the 2nd series of Tsum Tsum Vinyls surfaced. The new series looks to be releasing in late-February/early-March at retailers. Included in the second series is Tsum Tsums from Toy Story, Snow White, Inside Out, Bambi, Big Hero 6, Lady & The Tramp and The Little Mermaid. Also, there looks to be some Tsum Tsums harder to get than others as the new guide features a scarcity guide (Common, Lucky, Super Lucky). Below is a look at the new checklist. A look at the Jakks Pacific Disney Tsum Tsum Series 8 Checklist! A look at the Jakks Pacific Disney Tsum Tsum Series 9 Checklist! First Look at the new Jakks Pacific Marvel Tsum Tsum Series 3 Checklist Marvel Tsum Tsum Vinyls Series 1 by Jakks Pacific Coming Soon! Detailed look at the Jakks Pacific Disney Tsum Tsum Series 5 Vinyls Checklist! New Jakks Pacific Tsum Tsum Vinyls Series 2 Begin to Surface! Not sure if you are still looking for some of series 1 tsum tsum, but I have quite a few doubles, including sebastien. Would be willing to trade or sell if you were interested. I already commented on another blog but basically I’m happy about this, but also kind of frustrated. I hate feeling like I’m being pushed to buy anything. And I don’t feel as though I’ve been given enough time to buy the ones of these I want. I really hate that. I’m glad some of them aren’t just disappearing completely. If they keep that up I’ll be glad, and I’m sure others will agree. It gives you a “second chance” to buy ones you might have missed due to lack of availability in your local area or even if you couldn’t afford to buy them. I mean they’re not expensive, but not everyone can afford to drop $100 on tiny pieces of plastic every couple of months. I’m glad we’re getting these advance looks at what’s coming and I do hope it’s accurate (not that I don’t believe you, just that I hope the company doesn’t change anything last minute). 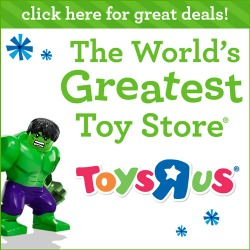 So that I can just buy the ones I really want now, and maybe wait for the rest to go on clearance at Target or Walmart. Why pay full price if you know your store has a bundle and they’re going to have to be marked down right? I plan to ask when they’ll be marked down the next time I’m in, just so I know. Then I’ll wait and buy the rest during the second wave. I don’t care if they’re “rare”. All that means is that they’re probably going to be in blind bags, and they’re not really blind. It’s easy enough to tell what’s inside. Just so long as it’s not like the ones in the 9 pack, I really dislike that. Just let me know what’s in there or give me an opportunity to figure it out.